Reporting to the Manager, Networking, the Senior Network Analyst (Managed Services & Infrastructure) is responsible for the day-to-day provisioning and maintenance operations related with customers' Network and Security Infrastructure. The primary responsibilities include managing network and security services, providing all aspects of infrastructure monitoring and creating technical documentation. The network analyst will be part of a team providing 24/7/365 support and be part of an on-call rotation for after hours and weekend work. Maintain all aspects of datacenters and customers' network and security infrastructure. Configure, support and maintain clients' L2/L3 networks, security infrastructure, including physical and virtual firewalls, VPN services, datacenter and remote servers. Deploy, maintain and support network, security and SLA monitoring systems. Lead network deployment of new client environments. Develop custom scripts and automated procedures for new projects and services. Identify, diagnose and resolve network and security related infrastructure problems. Engage vendors in complex issues and own issue resolution from end to end. Proactively monitor software revision, bug fixes and propose upgrade paths to keep the network infrastructure up to date. Strong working experience in building and managing L2/L3 networks (Cisco, Juniper, Other). Strong experience in network security solutions (IPSec VPN, firewalls, IPS/IDS, PKI infrastructure). At least five (5) years’ work experience in a senior networking position responsible for managing network environments. Experience in routing protocols (OSPF, EIGRP, BGP). Familiarity with different interconnect models to external partners and clients (MPLS, Metro Ethernet). Working experience in building and managing high availability network solutions. Network and security certifications (Cisco, Juniper, ISC, A+) preferred. Working experience with application delivery controller (F5). Working experience with network and security monitoring tools. Experience in building and managing network services in Windows and Linux (email, FTP, web). Working experience with virtual technologies (VMware) and virtual network technologies. Strong analytical problem solving, facilitation, and conflict resolution skills. Ability to remain productive within a time-sensitive and fast-paced environment. Excellent prioritization and organization skills with the ability to work independently. Dedicated to providing quality customer support to consistently meet customer expectations by providing exceptional customer service. Strong skills to analyze the existing customer's environment for managed services solutions development and implementation. Ability to contribute to new products and services development, including repeatable service models and standard provisioning procedures. Excellent knowledge of network management and performance tuning tools. Troubleshooting and analytical skills with capacity to accurately identify and assess problems before providing accurate solution. In depth knowledge of datacenter and enterprise levels network and security equipment. Working knowledge of wireless networking technologies. 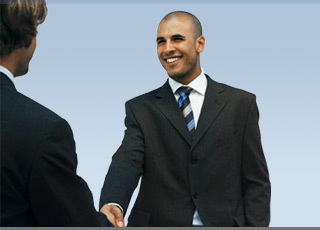 Strong knowledge of network security, including secure access control systems. You must be legally entitled to work in Canada and/or in the U.S.